Methodical Detective Sam Lagarde doesn’t miss a clue as he questions an ever-growing list of suspects, only to discover the killer has been hiding in plain sight the entire time. Always one step behind the killer, finally Lagarde’s only recourse is one he never wanted to take. The first line of the summary completely floored me. The first line resonated with me and I loved the short and succinct summary. It created just the right amount of interest and was enough to set the tone of the story. The cover itself was simple and elegant. I read more into the misty scene, but it fit with the theme of the story so well. Those where the killer is either revealed at first and the book is about the chase to catch him before he kills many people. Those where the killer is hidden, even if in plain sight, and the race is about finding out the person responsible for murders. In both these types of mysteries, the suspense is broken only at the last, keeping the reader guessing and trying to fit in the pieces of the jigsaw together. 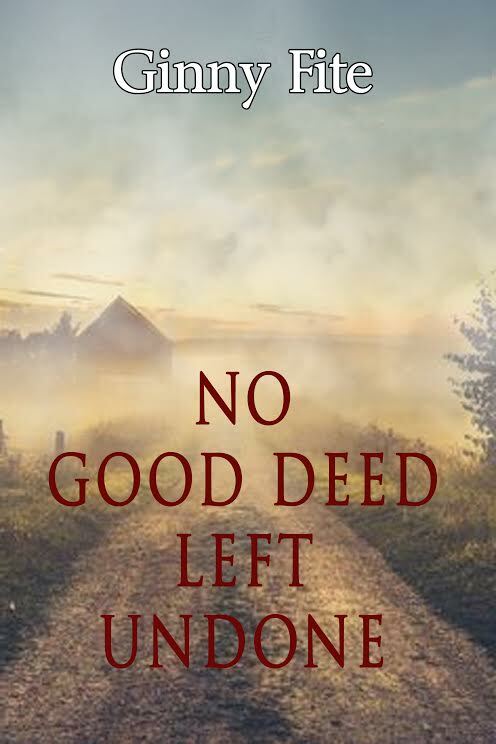 No Good Deed Left Undone keeps the guessing game alive and manages to hold my interest completely including those parts that were gory and vividly descriptive. Detective Sam Lagarde is called on to investigate the death of Grant Wodehouse, who seems to lead a life with no problems until someone actually stabs him with a pitchfork. The more Sam Lagarde tries to eliminate the suspects one by one, the larger the list keeps growing. But all this while, the killer is hidden in plain sight, testing the resolve of the reader to turn back to the last few pages to know the secret. I liked the procedural way Sam and Lawrence follow the case in, and it showed me yet again why I am partical to police procedure thrillers. The author has written it well and has managed to give enough details to keep the interest alive, but not sound like a protocol announcement manual. Carefully isolating suspects and identifying clues, Sam leaves no stone unturned and the methodical way he approaches the whole thing is excellent. 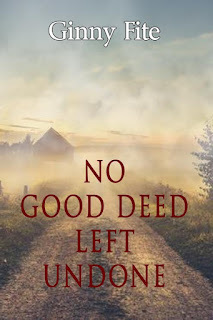 There is no clue in the summary but the story is set in rural America and the author has done justice to the settings. I really loved the writing which is a major positive point for the book. The book is the perfect example of how even an excess of motives and suspects can ruin the case and make finding the real culprit harder. If the lack of suspects or motives stalls the case, an excess of it confuses the case and delays the solution. Trying to match the suspects and clues up and managing to do it to the readers' interest is a really great thing to do. It takes a little time to get used to the characters and understand if the really less amount of descriptions are a matter of choice or if they have already been described in book one. But other than that, the book will work even as a standalone and fans of the detective are sure to enjoy it. Brilliantly plotted thriller with smooth writing. The cover is the first thing I noticed about the book. With good caricatures and bold colors, it caught my attention immediately. The summary was short and intriguing and conveyed the point of the story across. With such a quirky title and short summary, I expected the book to be a read peppered with humour and wry philosophy. The book was short enough to be read in one sitting. What struck me first about the book was the way it dealt with a topic everyone could relate with. 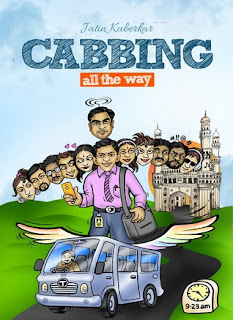 Cabs are some of the most popular vehicles on Indian roads right now, for the convenience they offer and the 'welcome break' they give from autorickshaws that cannot ply to the offices that are located a long way away from civilisation. A lot of employees working in the various IT offices would immediately relate with the need for a special vehicle that would ease the long trip, helping people reach their out of the way office without worry. Though there are organised buses, cabbing all the way will immediately strike a chord. We all have our own special travel stories, those we will cherish. And everyone who is familiar with regular long distance commute will have a co passenger turn from stranger to friend. The connection between these two people will be quite strong and they may even turn into life counselor if they are like minded and willing enough. This is why you will resonate with this book. (i) It talks about how necessity will make people think creatively and find out ways where none exist. (ii) The book is also about how though people are reluctant to conform to rules initially, they all get together to a proper routine that is beneficial to all over time. (iii) It reinstates the fact that man is a social animal, and forcing people together would eventually end up in either a good rapport and newfound closeness or ego clashes. Both these facets of the people have been brought out well. Each of the characters are very relatable and are the representations of people you may see every day. The absolute normalcy of these characters and their realistic descriptions will make sure that the characters resemble someone you know, but are not very memorable. The book has its moments, with wry humour and witty one liners in places. But it did not sustain its name as a good read because the humour either became flat or was, in places, forced. The story itself has a good premise but while reading the book, one does expect a stronger plot to accompany this beginning. There is a plot, but only barely so. The book did surprise me in many places. I was initially wary about the introduction of twelve characters being an over kill but the author has not wasted any time on giving detailed descriptions and character sketches of each person. He has carefully crafted the story and events such that only some description is actually given. The rest is let to implication and inference. And I believe that is a beautiful way to not take the focus away from the story (or in this case the task) at hand. The author gets a special mention for not conforming the readers' imagination to certain features of the characters and making it impossible to budge away from that, forcing the reader to follow the descriptions closely instead of understanding of their own accord. But, like most books these days, a generous dose of localized terms and descriptions are used in the narrative. While this might not be a hindrance for someone who knows the area, this might reduce the speed of the casual reader who has to pause to let certain sentences sink in before proceeding. The terms have been added, no doubt, to give the book the right feel because no one actually speaks in formal English amongst friends, but there is a slight risk of some references going over the head of anyone who has no idea about them. This has become a trend in many books in India nowadays that not many people bother about raising a complaint. There are no other major complaints about the language but it cannot be stressed enough that the book would have been better with crisper editing, and by avoiding certain obvious errors. Better English would have made the read an even more engaging one. I might be a rare reviewer who finds a fault with the nitty gritties in the language but I really cannot understand the need to make a book more 'Indian' by infusing it with vernacular terms and sayings. Cabbing all the way began well. It had great potential and I really was looking forward to reading it to the end, seeing what it was actually all about. But instead, the book falls flat in between for many reasons. Over time, the names begin to get confusing, and only very few characters out of the twelve stand out. (Though I am still sure the additional descriptions would only have increased the length of the book with no actual purpose). The names tend to get confusing over time and fade into the backdrop as part of the narrative. The problems are built up beautifully, making the reader wonder what the solutions might be, but the solutions, if and when they do come, seem surprisingly impossible or so conveniently placed. This is where the book veers away from the angle of realism. The book did board all readers into the cab, but the bumpy ride on a never ending side road off the highway quickly came to an end in the middle of nowhere and the reader was magically transported back to civilisation in a 'climax'. The book won my heart for many reasons - mainly the idea it set out with, trying to talk about something everyone will relate to, but something no one has talked about yet. It also began well, with the author not wasting time on unnecessary details or descriptions and instead giving the reader a realistic account of what would happen if twelve people were put together for one cause and how they would find a solution. The book seemed well on its way to a good plot when it spoke about the disagreements that crop up and how some people take up the megaphone and try to 'rein the others in'. (Yes, this does happen a lot among groups of people where self appointed leaders try to bring order). And it was also amazing how the characters gelled well and came together to solve issues and sort things out. The characters had all the shades and were common, everyday people. But the book failed to engage me into reading when it gave quick patches and solutions in a language I was not comfortable with (yes the book is in English - and that is not what I mean). The weak plot and purpose is a dampener to my reading and is one of the reasons why I file this under 'a one time read'. The author gets a special mention for writing a book that has so much of promise and could inspire a changeover from the romances flooding the market, but if only he had taken it all the way and ended it equally well, this book would have been so much more memorable. A cover design and summary that will entice the reader into reading the book - that is a major plus. The lack of an actual plot is a thing that sticks out noticeably. Though I did not expect this book to have a moral lesson, I did expect a closure or conclusion that never came. 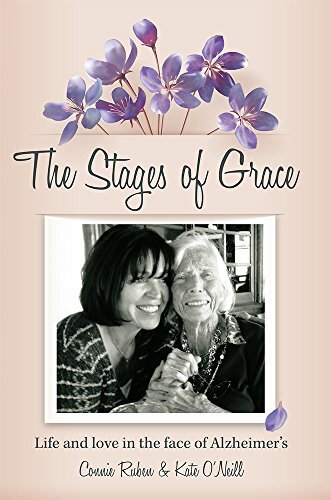 This book was written out of a desire to share with others who have loved ones with Alzheimer's disease what I have experienced as Grace' caregiver and friend. I wanted to capture the emotions, the expected and the unexpected issues, the painful times as well as the humorous and loving moments that Grace and I have shared as a result of this disease. This is not mean to be a handbook for dealing with Alzheimer's disease, but I hope that by sharing my feelings and experiences, readers may recognize they are not alone on this particular journey. Memoirs have never been books I really look forward to reading. Especially those about haunting ailments and the loss of loved ones. But as a book lover, and someone who looks at diversity in the genres I read, I sometimes sit down to read a memoir / autobiography. Somehow, knowing that I am reading about real people, who have lived real lives, long or short, that has in some way been noticeable enough to write a memoir about changes my whole perspective while reading the book. This was no different. The cover (and the image) looks stunningly simple and graceful (not a pun in anyway). By the author's own admission, it is not the best individual picture of either of them but there is something so beautiful about it that it works well as the cover image. The summary was short and to the point, and spoke volumes about the relationship between the caregiver and the patient. The first thing I will note about memoirs is the sincerity of the tone in which they have been written. This is purely a subconscious habit but to me, a honest book written in simple language works better than a book that uses words with a flourish, adding more drama and trying to make the book more memorable / quote worthy. I read Stages of Grace in one sitting because it was simple, it was beautiful and very heartwarming. 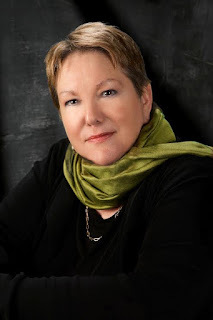 It does help, though, that Connie Ruben is an amazing narrator, trying to find a fine balance between telling the story as it is and including the details that will make it not only understandable but also enjoyable to the reader. Yes, enjoyable - I use this word because it is hard to stay with a book if the author doesn't manage to interest you. Not to be confused with using more of the drama element, writing a book that is interesting is more about the straightforward and simple style. Connie Ruben has managed to pen down her experiences with her mother in law Grace Ruben (and now we know how apt the title is) as she watched her be affected by Alzheimer's and gradually become increasingly worse by the disease. She has done so in an interesting manner, and for many reasons, this book is memorable. I have not had to face the painful feeling of watching a loved one become incurably sick, but I have known enough people who did to help me empathise with what I was reading in this book. I could understand, at least in parts, what Connie would have felt while writing the book, trying to relive, many times over, each of those painful little incidents that happened during her time as a caregiver. The book works because it is written well. 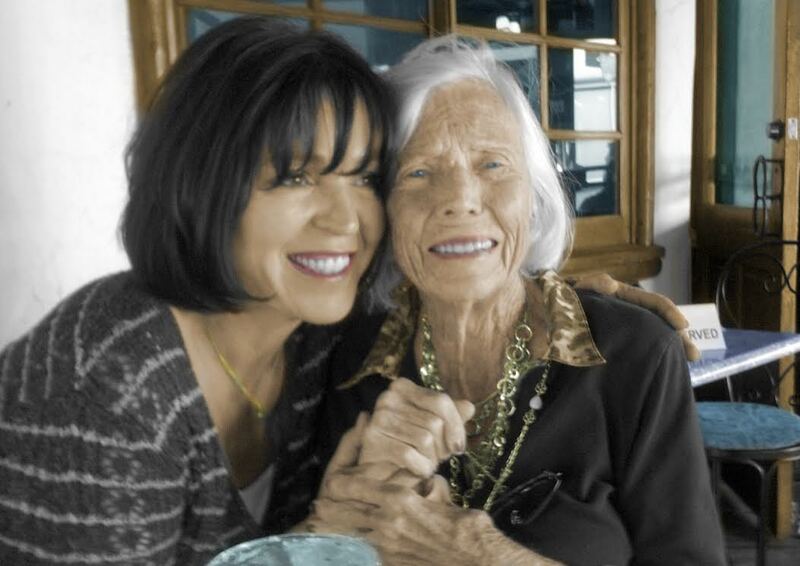 But it also is from the heart and I can understand how much Connie loved Grace as a friend, a mother and a mother in law with the way she talks about Grace. The depth of the bond is quite visible in the words Connie chooses to describe Grace and there is a simple, almost humorous honesty in the way she talks about herself and the beautiful years they shared together. I have always admired the courage it would take for someone to relive, in writing, what was probably the most trying and testing time of their lives. But those who have the courage to do it - maybe to help someone else who might be just as confused and lost as they were or to just speak about their experiences - are exceptional people. Stages of Grace talks about all the emotions the family of the affected person might feel. The discomfort, the denial, the shock at seeing a strong, witty, talented beautiful person losing their essence, the despair at the diagnosis and ultimately the resigned acceptance. The sooner this phase gets over, the better for everyone involved. It is not an easy task to see a loved one suffer, and it is harder still to have to stand by them, seeing them become a shadow of the person they once were. There are times when one would get angry, at the drab hand fate had dealt them with, or be reduced to tears, unable to pour out what the emotions are when they have to understand the extra care and affection the patient needs. It is hard to classify a loved one as a 'patient' who needs to be cared for, and not show them that aspect. Connie's honest account speaks not only about her stages of acceptance but also about how her mother in law Grace reacted at every juncture. This is in no way a guidebook to dealing with Alzheimer's but coming from a person who has seen the effects of the disease from close quarters, this book (probably even inadvertently) gives tips on dealing with the same. The tips are not always about finding the right way to behave around the affected person, but also about how they themselves are handling the disease. There are some beautiful quotes from the book (I have chosen very few of some exceptionally good ones that impressed me) that gives the reader an idea of how the book is. Her kind manner is not a behavior she works to maintain; the naturalness of it cannot be learned or emulated. Hindsight can be disingenuous; it suggests that there was a path to be followed even when we couldn’t see it. Grace deserved my best support, my confidence and assurances. She didn’t need my fear. We were nervous, and nervous people find a lot to be afraid of. Finally, summing up the disease and the frustration. It seems so unfair that Grace has to endure this and that those of us around her have to witness it. A beautifully written, emotional account of dealing with Alzheimer's from someone who knows how it is.